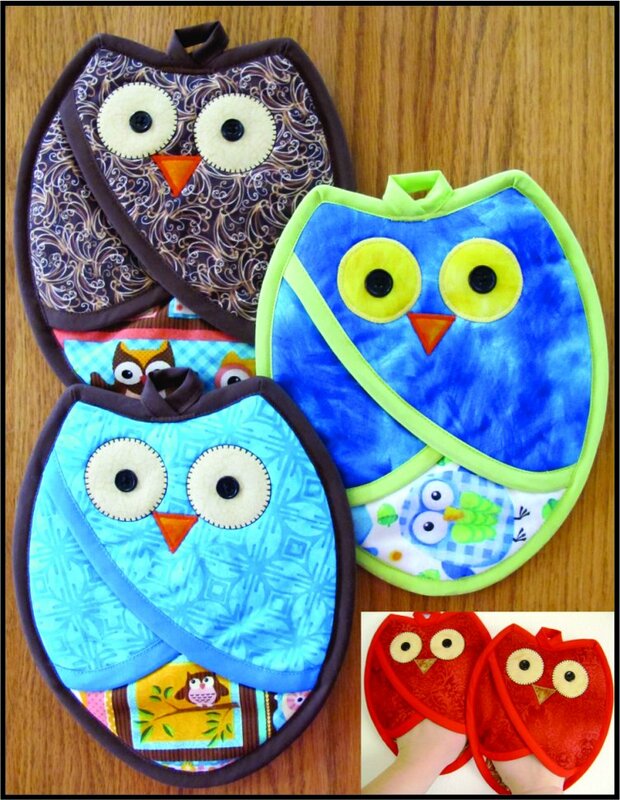 Full-sized pattern pieces to sew up some really cute Owl Pot Holders that form a pocket in front, protecting your hands from the heat - sew quick, easy and functional! Approximate finished size 10" x 8". Fat Quarter Friendly Too! Correction: First cutting instruction should read: Cut TWO 8Â½â€? x 10Â½â€? pieces from Owl Body fabric and ONE 8Â½â€? x 10Â½â€? pieces each from Insul-Bright and Warm & White cotton batting.